Beards are popping up all over lately and becoming quite popular once again. In my opinion beards have never gone out of style they just got more cropped. This year 2014 celebrities such as Brad Pitt, Robert Pattinson, Johnny Depp, George Clooney, and Gerard Butler are all sporting some type of beard or scruff making it a huge trend. When choosing a beard it's just like choosing a haircut. You need to pick a style that matches your face shape, and the most importantly your jaw line. If you pick a wrong style it can break the whole look entirely, and make you look very unattractive. Some of the hottest beard trends for 2014 is the full beard, goatee, stubble, Soul patch, and the "Brad Pitt" scraggly beard. Beards have lots of uses for men. Men can be lazy and go without shaving every day, keep you warm, makes you look distinctive, slims the face, helps hide scars, protects the skin, prevents razor burn, and can be quite arousing on a woman's body parts. Thin face- You need to grow the beard thick enough to fill the face in. If you have a skinny face the beard needs to fill in the cheeks. If not the beard is going to look awkward, and give you an uneven appearance. Full face/chubby face- A great beard to wear would be the full, goatee, or long Brad Pitt beard. These styles will help slim the face, hide a double chin, and give your face a longer appearance. 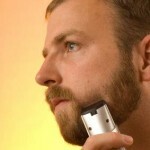 Soul Patch beard- Here you have a small area of hair that is grown beneath the mans lower lip. I consider this an alternative to the goatee. This beard is very easy to achieve and maintain. To prepare for this beard you will need to grow your beard at least 2 weeks worth. The more hair you have the better shape the beard will be in. 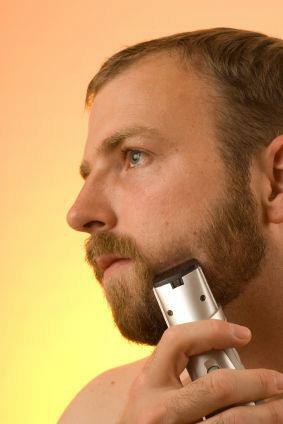 Shave the beard down until a small area of hair is remaining beneath the lower lip. This style of beard can be worn narrow, extended, or with or without a mustache. Brad Pitt braided beard- For this beard you will need to grow a goatee, but there must be some length to it. At least 2-4 inches enough to braid the hair accurately. Some OTHER TYPES of the styles will be the Dali, Chevron, mutton chops, toothbrush, walrus, balbo, chinstrap, circle beard, anchor, chin puff, ducktail and more.